The Abbotsford RFC and Surrey Beavers Athletic Association are excited to announce the first annual Trent Bones Bourke Memorial Game this Saturday when Abbotsford host the Surrey Beavers in BC Division One action at Exhibition Park in Abbotsford. On Saturday, both teams will gather to play what promises to be a great game of rugby, and more importantly, coming together to honour Trent Bourke, aka Bones who passed away in December 2016. Trent started his youth rugby career at Ridge Meadows where he found his passion for rugby. He transferred over to the Abbotsford RFC where he began to play 3rd division men’s rugby for the club. Bones’ never ending work ethic, and commitment to the sport saw him work his way up through to top side at the ARFC. Off the field, Bones was the first to greet a new comer and the first to help out at the club. Always up for a social event, Bones was a true club man. Bones also spent his summers playing rugby league, initially with Surrey where he made many friends and then on to a newly formed Abbotsford Rugby League team. Bones eventually went on to be selected by BC Rugby League and played at the highest level of Rugby League in the province. Bones was a genuine person who loved rugby and the social aspect of the sport. He is dearly missed by his rugby family not only at the Abbotsford RFC, but at Surrey and Ridge Meadows as well. On Saturday a moment of silence will be held and many pints hoisted afterwards in honour of our rugby brother. A trophy to the winning team will be presented by the Bourke family following the match. 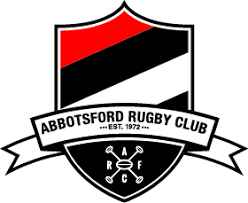 These two teams have had a great rivalry for many years that has only intensified in recent seasons as Abbotsford won a tight BC final over Surrey in 2016. Surrey won their own title the following year and has been on top of Abbotsford the past two seasons. With both teams looking to set the tone for the upcoming 2018-2019 season, this match will be hotly contested. Abbotsford is looking to build last year’s season and Surrey will no doubt be looking to re-claim their title from 2017. Everyone is welcome at Exhibition Park this Saturday and to the ARFC clubhouse following the match.